My friend Andrew and I were trying to figure out where to go for lunch yesterday. 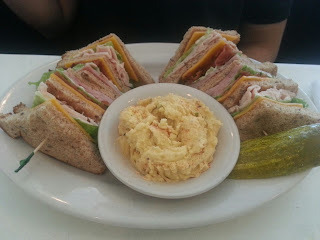 We could not decide on anything so I started going through Urbanspoon's handy neighborhood guide. I really wanted breakfast, so the Fox looked really good to me. The restaurant is very well hidden right in the middle of Avondale...we walked right by it! Once you walk in, it feels like you are in another world. It has an awesome old school diner feel and is very nostalgic! We took a seat and started looking over the menu. The menu is HUGE! I decided on chocolate chip pancakes and cheese grits. I thought they were going to be regular size pancakes, but they were dinner plate size! I took the first bite and was in chocolate heaven! 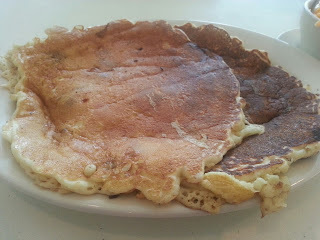 They do not go cheap on the chocolate chips, and the pancakes were light and fluffy. Absolutely delicious! 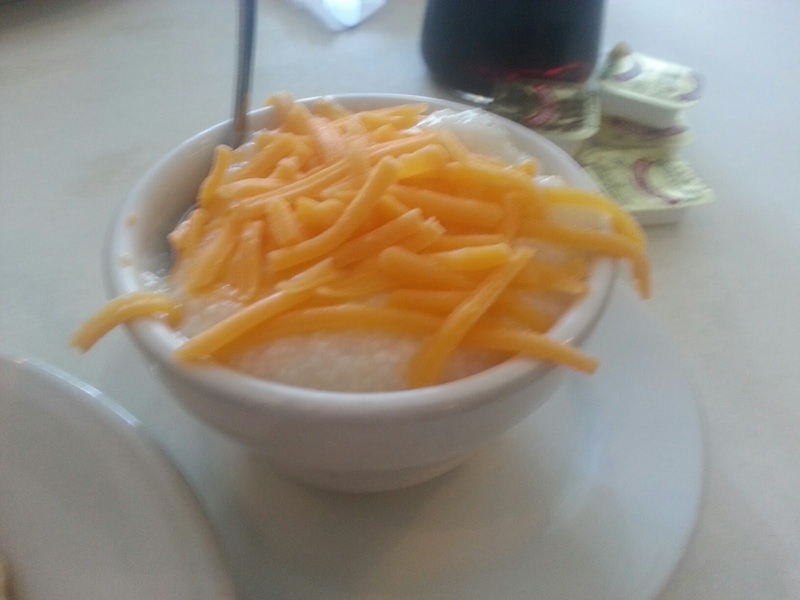 I didn't love the grits though. They just sprinkled some cheese on the top and called them cheese grits...um no. Andrew got the Club with potato salad. He said that the bacon was super crispy and everything tasted pretty fresh. I made him help me with the pancakes so I don't think he ate it all though! Verdict: Loved it! 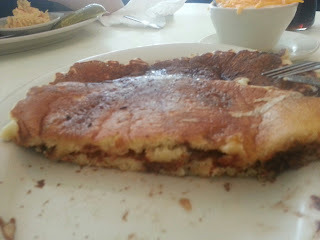 The pancakes were some of the best I have had. They were so chocolatey that they were making me sick towards the end, so that's how you know they are good! I loved the old diner feel and the staff were very friendly. I can't wait to take my husband here on a Sunday morning.